You must have heard a lot of jokes about "dating" in India, but this man is taking them to another level altogether. 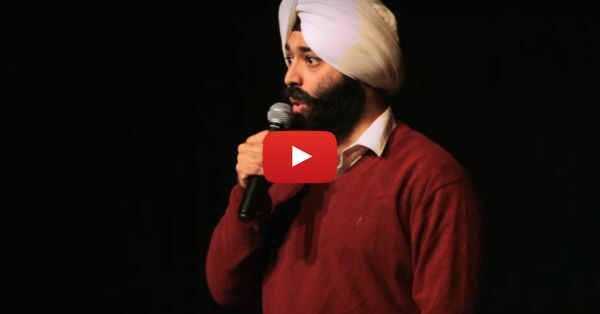 This video by Vikramjit Singh is so funny that you won't be able to hold back your laughter! We Indians have our own "logic" when it comes to dating, right?! We've ALL wanted to just stay in sometimes and catch up on our favorite show instead of getting dressed up and head out for a date… Right?! Watch this video and you’ll know exactly what's wrong with dating in our times! PLUS: Subscribe to POPxo on YouTube for original videos + our favourite videos from around the web! MUST-READ: How Do People Break Up? This Kanan Gill Video Is Just HILARIOUS MUST-READ: This “Getting Friendzoned By A Delhi Girl” Story Is TOO Funny!